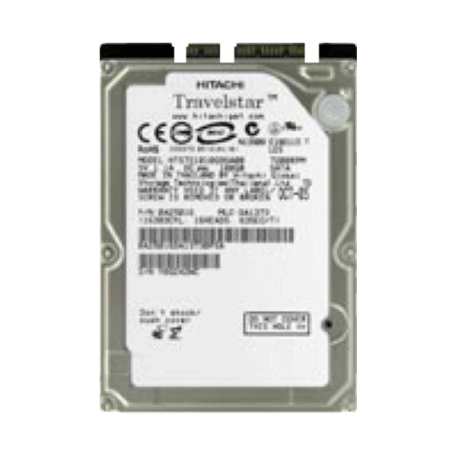 Hitachi Travelstar 5K1000-1000 2.5" SATA harde schijf kopen? | That's IT! Serial-ATA 2.5" harddisk. Bulk geleverd in antistatische verpakking. Travelstar™ 5K1000 is a 5400 RPM, 500GB/platter, 2.5-inch hard drive available in 640GB, 750GB and 1TB models. This standard 9.5mm, two-disk design, intended for use in notebook PCs, external storage, gaming consoles and other mobile applications, leverages Advanced Format, which increases the physical sector size on hard drives from 512 bytes to 4096 (4K) bytes to increase drive capacities and improve error correction capabilities. Consult the HGST Advanced Format Technology Brief for more information on using these hard drives. The Travelstar 5K1000 is the first 1TB 2.5-inch HDD with a 6Gb/s SATA interface and delivers best-of-breed 5400 RPM performance in PCMark 7 and PCMark Vantage testing. The 5K1000 continues to demonstrate HGST’s ecological leadership with its halogen-free design and power-efficient operation, and carries the EcoTrac classification. Travelstar 5K1000 delivers the highest mobile capacity with excellent performance to meet the needs of consumers and commercial users in an eco-friendly, rugged design. Let op: Deze harddisk heeft een Serial-ATA interface!